Just under the Wednesday wire, here is this week’s WIP. I am sailing happily along and reached the bottom stripe last night. My poor socks haven’t left their project bags even once this week. Not much else to say except I’m really loving these yarn colors — together and apart. Nothing like washing away the taste of an FO Fail with a great pairing of yarn and pattern, is there? 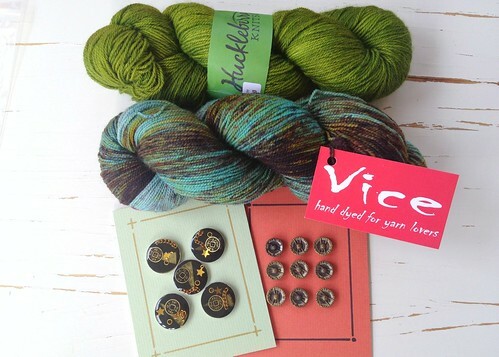 I got this lovely skein at Yarnover last April. 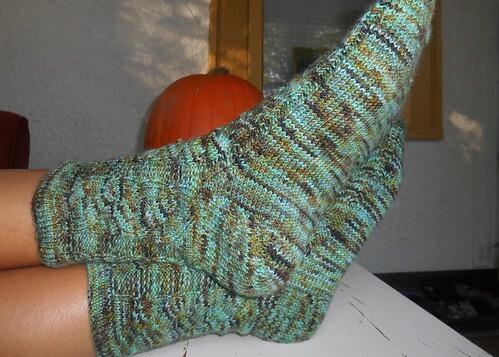 My first choice didn’t work so well, but I knew to cut my losses early and frog before the heel flap. Love, love, LOVE how these turned out. 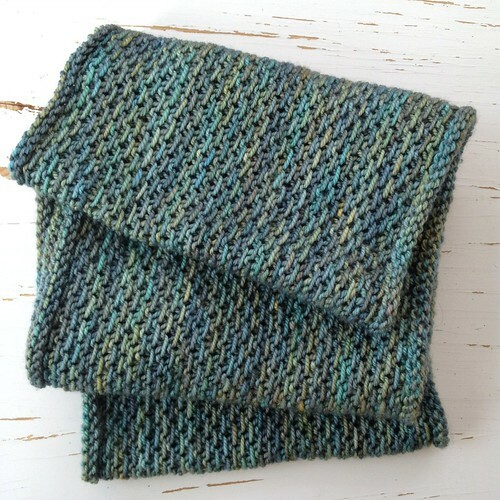 The pattern is that perfect combination of interesting knitting but easy to memorize. Also, they’re clearly too big for Izzy, who’s modeling in the photos. Phew, that should keep them safe from sticky fingers. 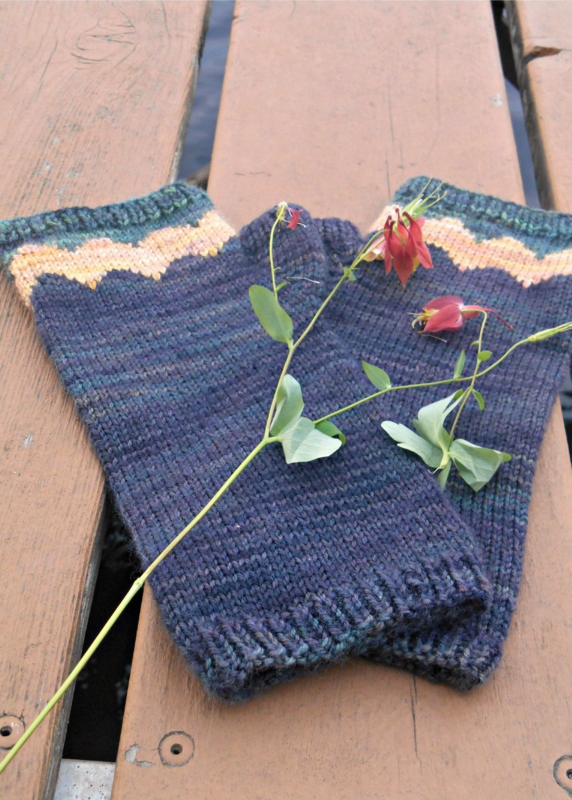 I wanted to try socks with cables and this seemed the perfect gateway pattern — two simple braids running down the front and back centers. 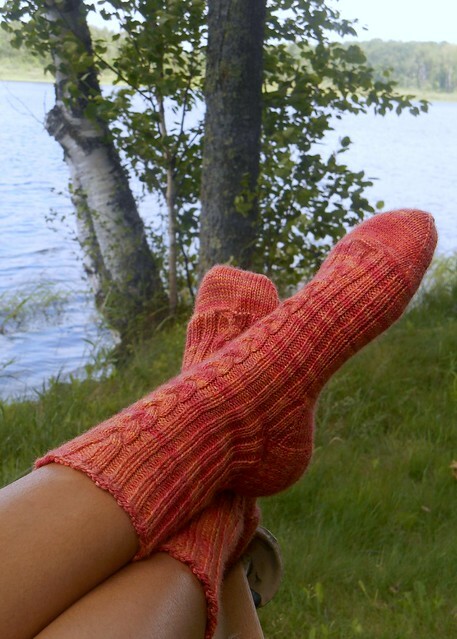 Just the toe of the second sock was left to knit when I packed them for the cabin. I finished them up that first night then blocked them the next day in the sun. Izzy (who’s a big Hunger Games fan) came up with the firepit backdrop, which I like even better than the kicked back lake shot we started with. 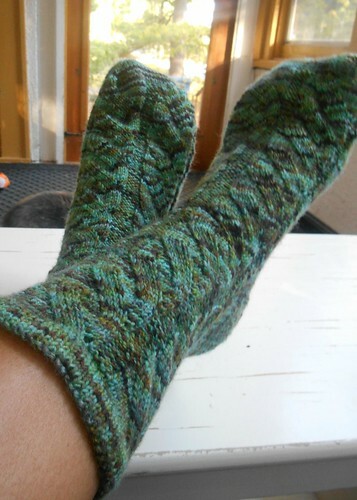 These were a really fun knit and I’m sure I’ll revisit the pattern sometime soon. 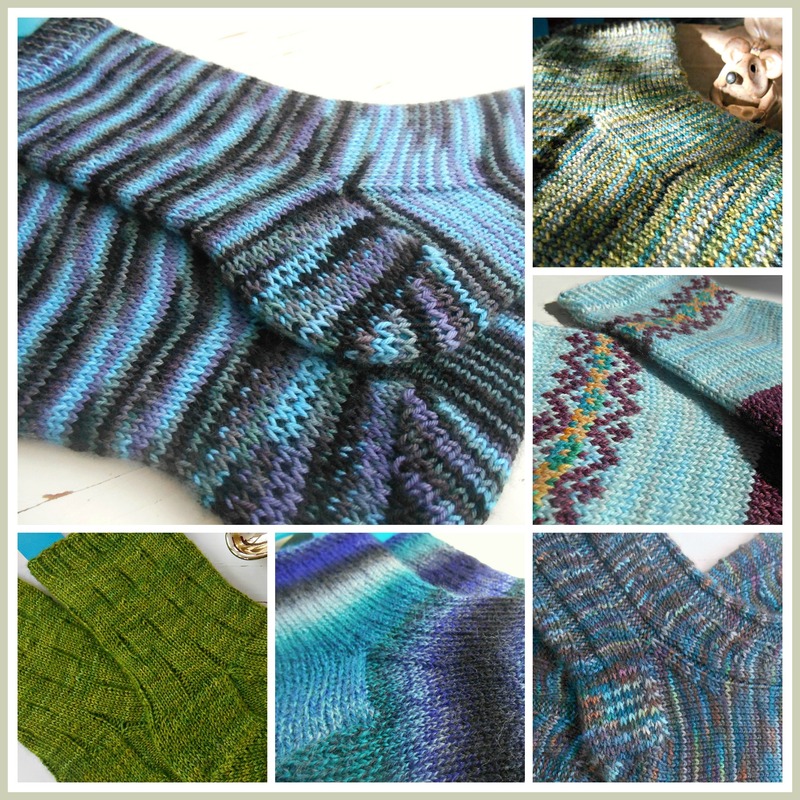 Who’d have ever thought at the beginning of 2013 that I’d have four finished sock pairs done by mid-summer? Not only did our week at the cabin afford me time to knit to my heart’s content, it also gave me a great backdrop to take pics of some FOs. 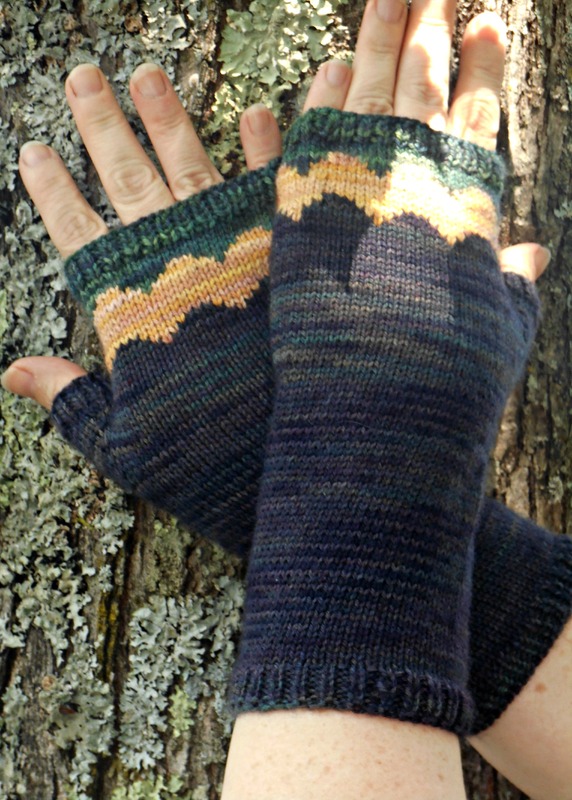 These fingerless mitts were finished and blocked a few weeks before our trip but fell victim to rainy weekends when it came to photography. These were a fun, easy knit, and I’d like to give a special shout-out to the designer, who offered up the pattern for free on her birthday. May her generosity return to her throughout the year! 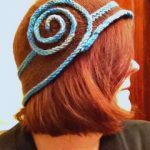 The other blessing about the pattern was that it offered the chance to use some of my scraps. I especially love the Squash OOAK with its pinkish hits in the gold. 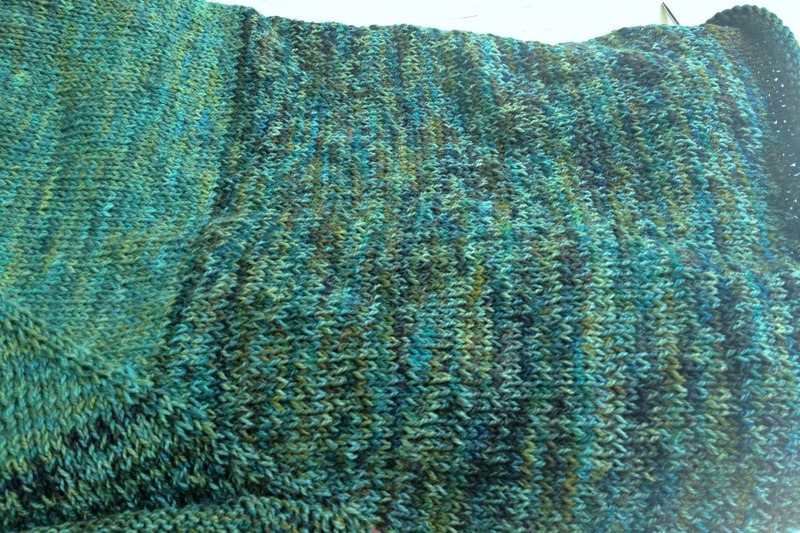 And since I gifted the shawl I knit with it, this way I get to still enjoy the color and touch of cashmere. I got a bit more adventurous with my second pair of socks, but not so adventurous that I couldn’t get through them pretty fast. See, I had a goal with a nice, crunchy carrot dangling in front of me. Turned out it was a perfectly timed carrot, as well: My first pair of socks was too small (and went to Izzy) and this second pair was too big (but not so big, thankfully, that they don’t make good bed socks). 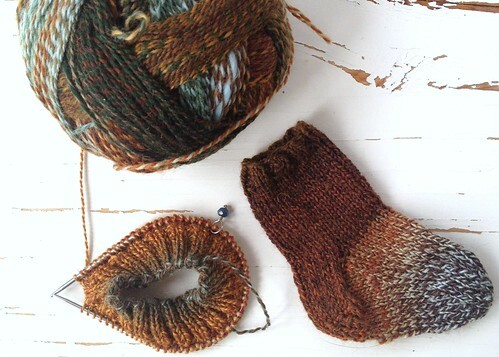 In the quest for a “just right” pair, what better help could there be than the Yarn Harlot, herself? 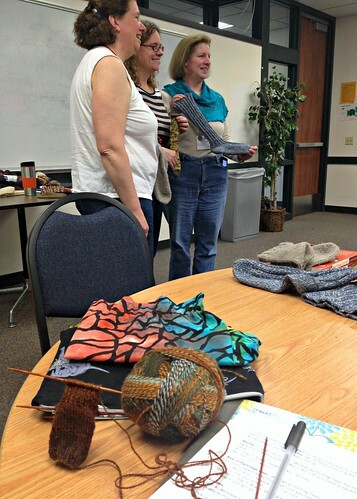 Yesterday, I attended my first Yarnover, kicking off the morning with a Grok the Sock class taught by Ms. Stephanie Pearl-McPhee. It’s why I wanted at least two pairs of socks under my belt… Nothing motivates like potential humiliation. My self-imposed deadlines and stress were definitely worth it. What a great class, and what a great teacher! Here’s my in-progress baby sock in the foreground, with classmates’ photo opp. in the background. And here’s the finished baby sock, which I Kitchenered last night. And what’s that in the picture? Yep, it’s the start of pair #3, fully informed and on its way to that “just right” fit. 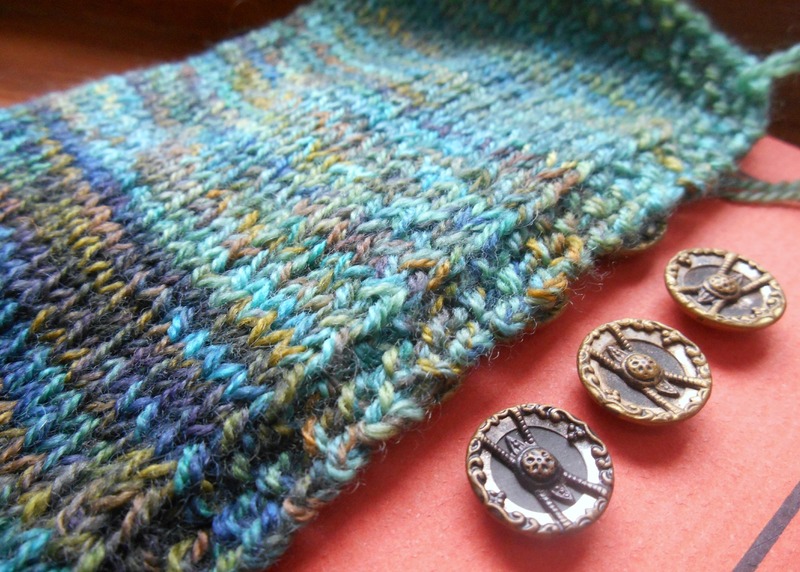 I finished up the day with a Celtic Cables class by Melissa Leapman, where I managed to execute the following two swatches to my disbelief and pure joy. 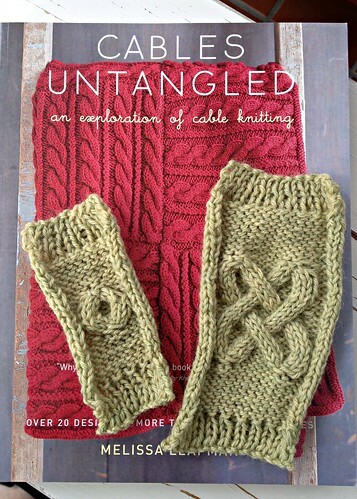 As you might guess from the book, I’m jazzed to bring on the cables in another project or two. Except for the missing Susan part, a fantastic day. Already planning for next year. 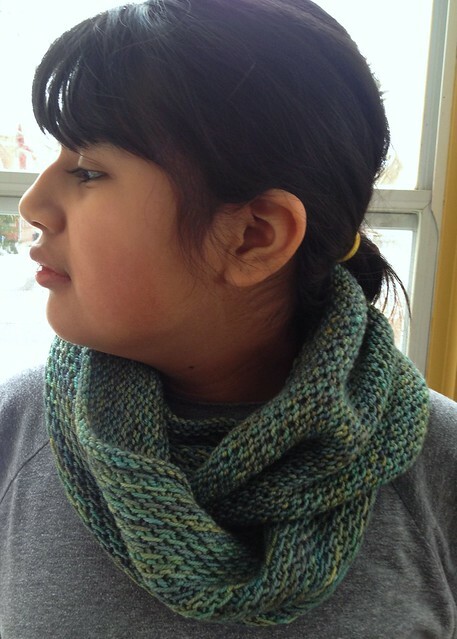 Like so many others, I was led down the Honey Cowl path by those Mason-Dixon pushers knitters. Not that I’m complaining. In fact, it was a great mindless/mindful knit and I suspect another one will grace my needles soon.